During the Summer, the city is alive with farmers markets and flower stands. Fresh and locally sourced ingredients are just a train stop away. My partner and I love to cook and we spend our days off gathering supplies for a feast later that night (he's considering starting a food blog... I'm all for it), and we never come home without a fresh bouquet. It's the quickest and easiest way to freshen up and change the look of your apartment. Plus, fresh flowers just make everyone smile! I will never take nature for granted living in the city. I kept my look clean and simply today. 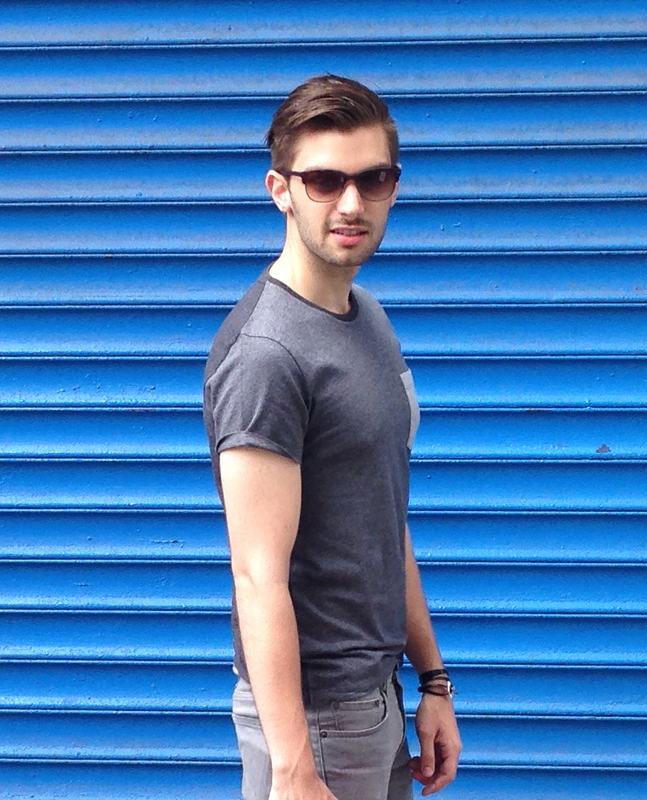 Varying shades of my favorite color: grey. 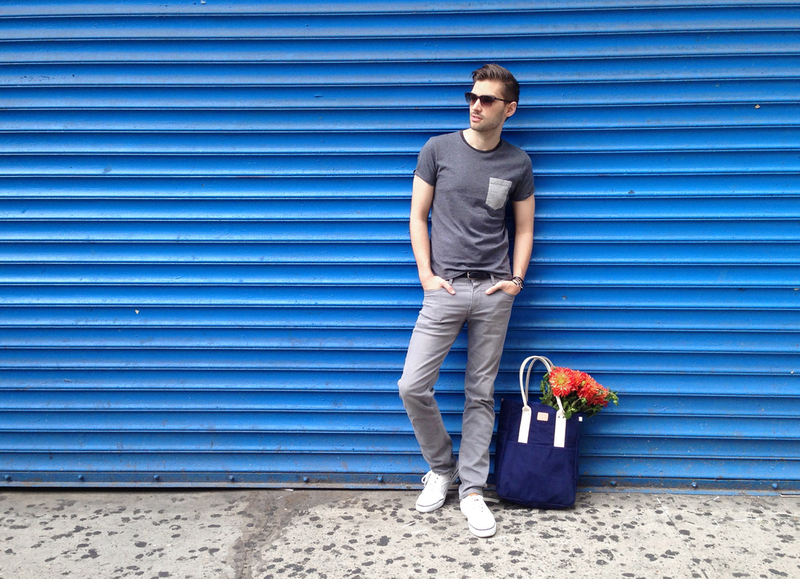 This color-block tee grabbed my attention but I still have plenty of color with my new flowers. 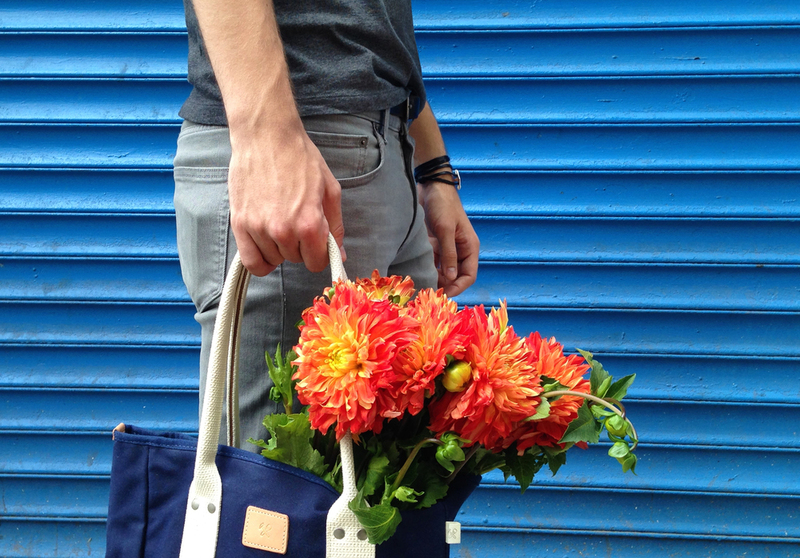 My Billy Kirk tote is the perfect bag to carry all of our fresh ingredients. Got any Summer recipes we need to check out? Leave me a link in the comments!